Party people! Were you able to get hold of the social events lately? Yes – the raucous international music scene, sports events, book signings, and even club happenings? Well, rest those feet while you can and brace yourselves as more social scenes are already booked on the social calendars. While waiting for the next event, you can count on WeChat’s 5.2 update for Android and iOS so you can maintain those adrenalin pumping as this latest update boasts of 6 fresh looking new features that will help you do your routine without losing sight of the social events. 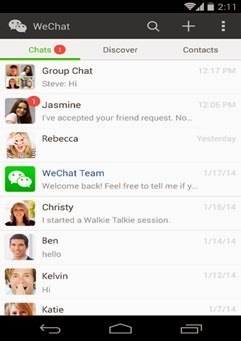 Talking about convenience, WeChat 5.2 opens to a reconfigured graphical user interface that organizes the menu into three sections: Chats, Discover, and Contacts. With Chats, you can continuously chat with your friends simultaneously; while Contacts allows you to access your contacts and start new interactions with your friends. For the rest of your favorite features, the Discover tab easily takes you to your Moments feed as well as options including Scan QR Code, Shake, People Nearby, Drift Bottle, Games, and Sticker Shop. Going to a party alone? No problemo! 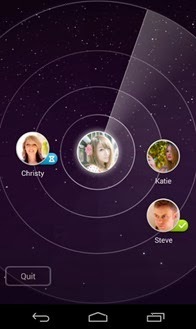 WeChat’s Friend Radar feature can automatically identify users within the vicinity so you can check on if you have friends attending the party. It also gives you the option of adding other users to your contacts list with one tap of their images. This great feature eliminates the anxiety of being alone by making new friends with only exchanging little details; but gives you more liberty to continue chatting with your newfound friends. Whether you’re in Baler for a yoga-surf-flow retreat or some other provinces for a festival, Friend Radar accessed through the Menu Bar > Add Contacts does the digital friend-scanning for you, as you connect with the same people in person. 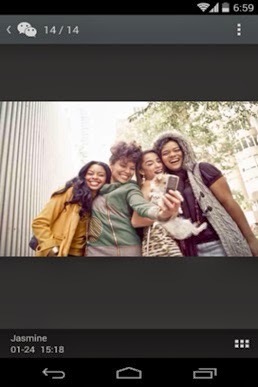 Planning a mall or bar-hopping with a group of friends but worrying to miss out anybody behind? 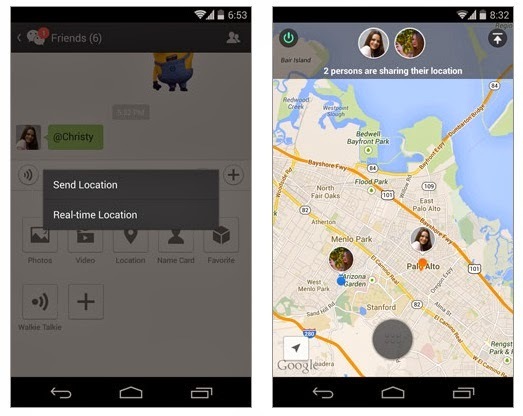 Never leave anyone and keep everyone in the loop by using WeChat’s Real-time Location-sharing feature. Invite your friends to share where they are and help them navigate their way on the WeChat map and through an integrated walkie-talkie session. Simply open a chat > + > Locations > Real-time Location > to view one another’s maps. Getting tired of scrolling through endless chats just to find a photo sent to you through Chats? Well, WeChat’s 5.2 update solved it for you! With the new Group Chat Photo Album, photos shared in your group chat—whether for your all-night partying in the metro or water activities at Palawan—are arranged by date and stored in one location accessed through one tap of the Photo Album icon. Tired of forgetting and searching for someone’s name, address, or information somewhere in the Chats conversation? 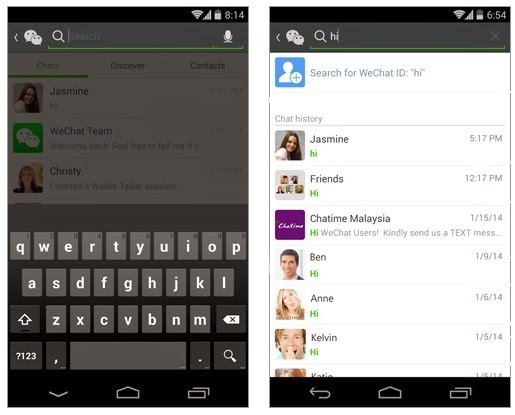 With WeChat’s Universal Search feature (yeah, similar to a search engine! ), you can quickly find any message or contact by typing keywords into the search field within the Chats tab. Living on the social limelight can build up your contacts list as quick as a wildfire. 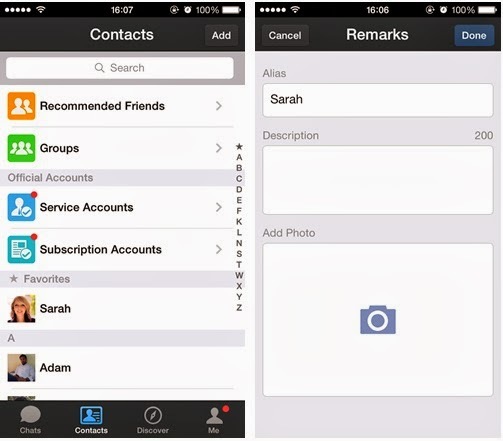 Manage your network of people through WeChat’s Contact List Customization feature. It will give you the ability to provide details that will help you recall your contacts. You can add photos, addresses and business cards to your friends’ profiles, all through your personalized taste. Aside from these new features, WeChat 5.2 for Android also comes with enhanced versions of its main features. These include more animated stickers from Sticker Shop that could capture your experiential responses; Group Chat Mention Notifications which will notify you when your name is mentioned in a Group Chat; boosted quality for Video and Audio Chats; and a LinkedIn Account in WeChat that lets you connect to and grow your professional network. All of this, integrated with the new, easy-to-use graphical user interface means more possibilities for your social life. So what are you waiting for? Top up for the next social event by upgrading now. For the latest updates, visit www.wechat.com. 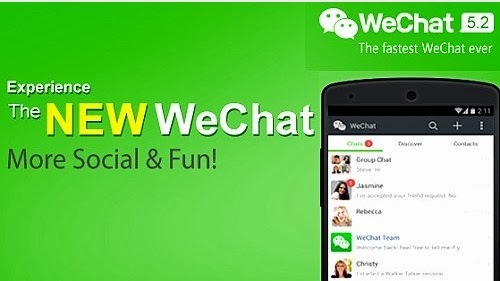 WeChat messaging app is also available for free download on BlackBerry, Symbian and Windows operating systems. Follow WeChat Philippines on their Facebook page for more local updates.